You go out for a window shopping or just want to buy some daily items, you come across an item that attract your intention to buy, the product look too good to you at that moment and without considering it, you take the item to pay at cashier. But, you find out later that the item you just bought is not a “must-buy” item; you bought it just because the impulse to buy at the moment you saw the item. Have you experienced this before? Here are some tips to fight impulse to buying. If you see something you want, don’t immediate buy it. Instead, write it down and set it aside for three or four days. After this cooling-off-period, read the note and see if you still can’t resist the offer. Chances are you won’t feel the buying urge anymore. Make a shopping list, and stick to it. Bring it with you to the store and cross off items as you add them to the cart. Consignment stores are good place to buy clothes and for lamps, furniture and other big-ticket items, try to buy when they are on sales, especially during mega sales. Mega sales can cause someone to spend out of budget. Remember to stick what you need to buy only (listed at your shopping list). When shopping for groceries, set a firm spending limit before entering the supermarket. Take along a pocket calculator, and keep a running. 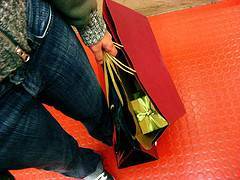 If you find it hard to control your spending, leave your credit card and extra cash at home. Remember, if you don’t have it, you can’t spend it. Many stores are count on impulsive spenders, and actually arrange their products accordingly to common consumer buying behavior and the best layout that can easily trigger the impulse to buy of the consumers. For example, Enticing displays for new products, pairing two products such as chips and soda on the same aisle, and various other tactics lure spenders to buy more than they came for. Be aware of how stores arrange the store, it can help you to say no to excessive items.